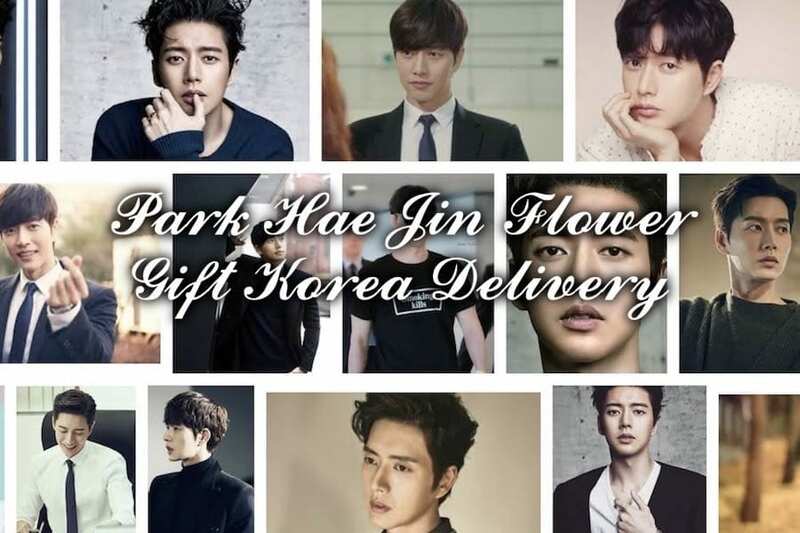 Flower Gift Korea had the pleasure of delivering a bunch of different gifts to the talented Park Hae Jin. Park Hae Jin is a Korean actor who has a lot of fans world wide. Some of his recent work includes acting in the drama series, “Cheese in the Trap” and acting in the drama series, “Man to Man”. He is with the agency, “Mountain Movement” and he is known for donating a lot of money to charity. 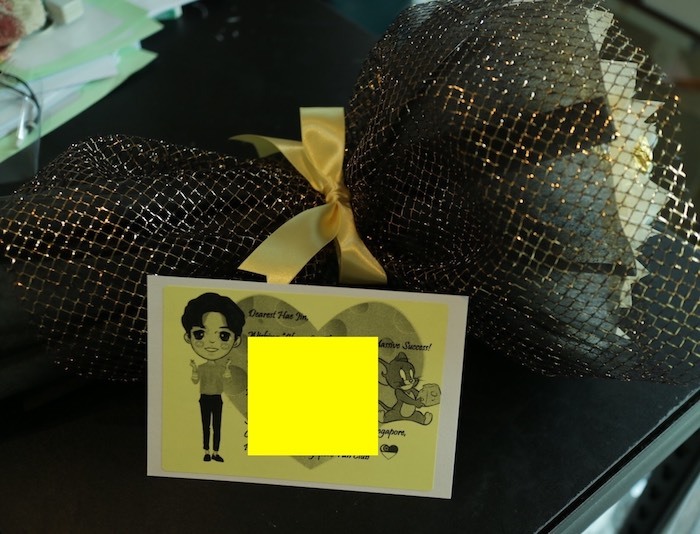 The above gift was sent from his friends in Thailand. 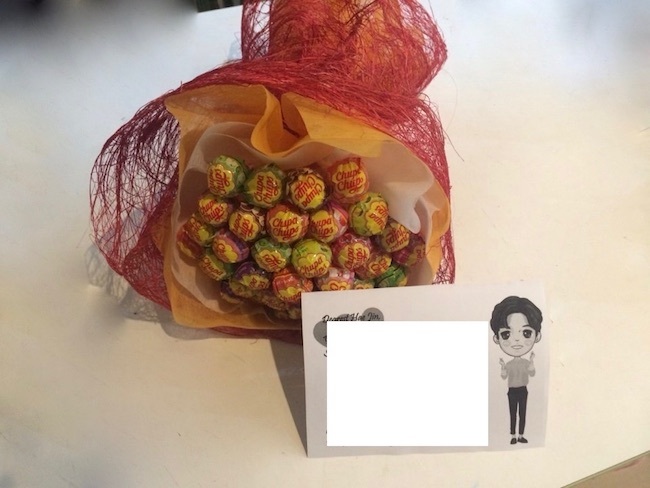 The top two gifts, which are a candy bouquet and a chocolate bouquet, were sent by the same fan club. You can easily tell that they were sent by the same fan club because they have the same image of Park Hae Jin on the card. 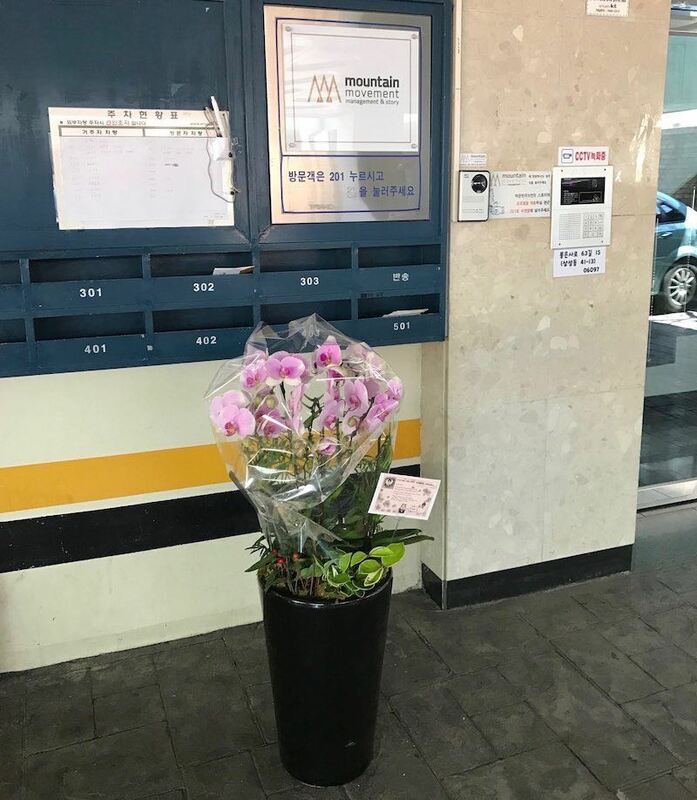 Maybe you are wondering if you are allowed to send your own image and have Flower Gift Korea print it for you and include it with your gifts. And the answer is yes, or course, you just have to email us an image to print up. But we unfortunately only print our cards in blank ink, so it will show up only in black. 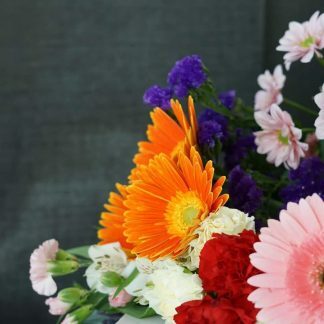 But you need to send us your image a few days before delivery as it takes time to prepare everything, especially if you have a special image you want printed on the card. And make sure the image is of good quality, or else the image and writing will not show up cleary when printed. 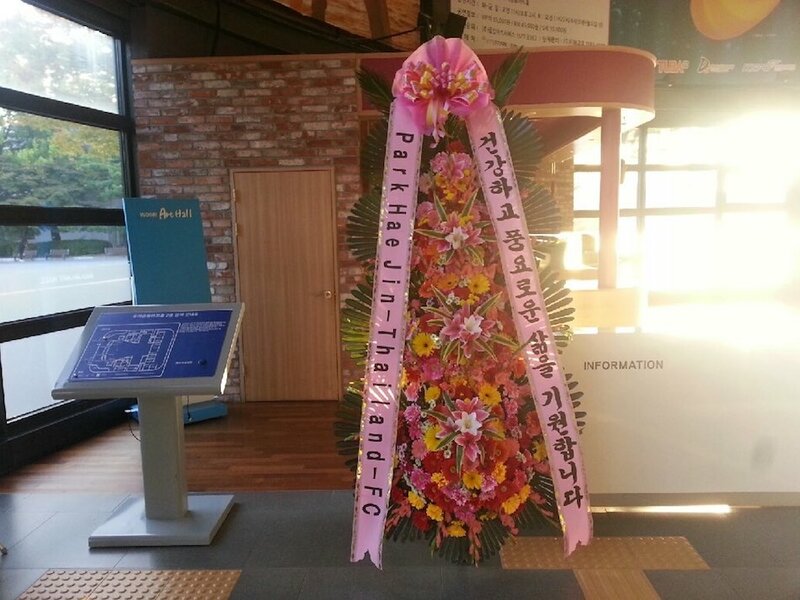 The above orchid pot was sent by a fan club outside of South Korea. We were able to deliver to his agency and get a photo in front of the agency. And if you are wondering, Park Hae Jin has not rejected any of the gifts sent so far. 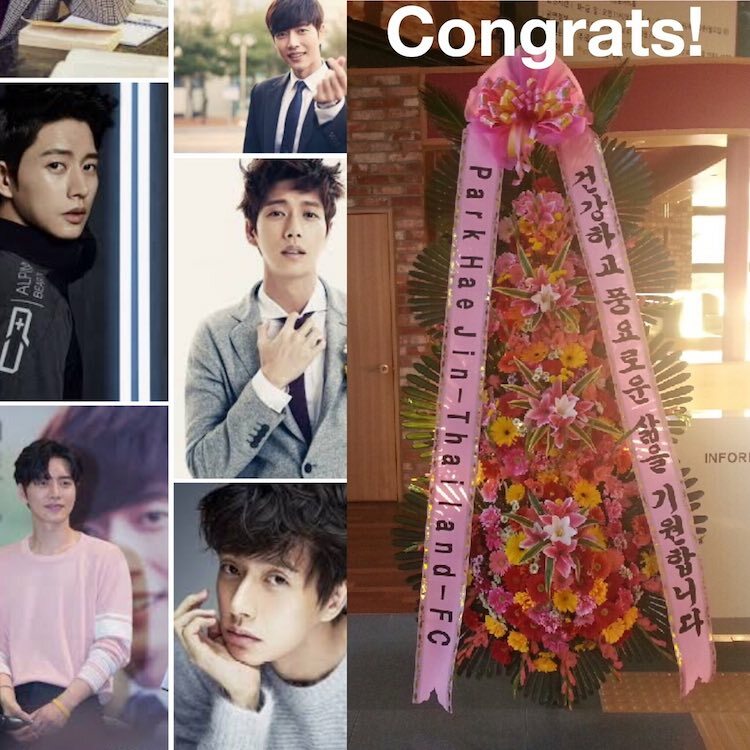 So it is safe to say that Park Hae Jin and his agency, Mountain Movement, accept gifts from fans all over the world. If you would like to send a gift to Park Hae Jin or any other celebrity in South Korea, you can visit our shop and choose an item to send. Every order includes a free message that you can write. And if you like, you can email us a custom image that you make to be printed as your card. So happy to have found your site! I hope to use your services soon for him!